You are here: Home / Buying Guides / What Makes The Ni-Cd Rechargeable Battery Popular? The Nickel-Cadmium or Ni-Cd rechargeable battery is an alkaline storage battery. It is classified as a secondary battery. These batteries are made from chemical elements of nickel hydroxide, cadmium and an alkaline electrolyte which is usually a solution of potassium hydroxide. Although the nickel-cadmium battery was invented by Waldemar Jungner of Sweden in 1899 it did not have practical application for 50 years. At that time a Frenchman named Georg Neumann developed the hermetically sealed battery. This made possible the use of the nickel cadmium battery..
Ni-Cd batteries are used in a variety of applications all over the world. These batteries consist of a positive electrode plate that uses nickel hydroxide as the main material. There is a negative electrode plate that uses cadmium compound as the main active material. 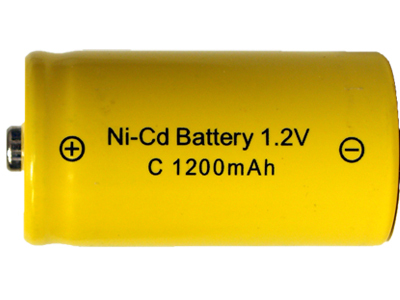 The Ni-Cd batteries are available in two varieties either sealed or vented. The smaller sealed batteries are used in toys and other portable electronics. Specialty Ni-Cd batteries can supply a high surge current making them perfect for use in remote controlled cars, boats, airplanes, camera flash units, etc. Ni-Cd batteries are also used in wireless and cordless telephones, old motherboards, laptops, cell phones and numerous other applications. The Ni-Cd battery compares well with other rechargeable batteries. They are strong and do not damage easily. They have the ability to withstand deep discharges for longer periods of time. They have more endurance to the charge and discharge cycles. These batteries are smaller and lightweight even when compared to lead-acid batteries. This makes them the preferred choice in aircrafts where size and weight are crucial factors. There is one drawback to the Ni-Cd batteries. They are known for their “memory effect”. Memory effect is when the battery “thinks” it is fully charged even if it is not. When you charge your battery it may think it is 100% charged when it is only charged 80%. If the battery thinks it is fully charged it will not charge anymore even if you have it on the charger. Since the battery has charged less you will have a shorter time to use the device. This problem usually occurs with older batteries and not the brand new ones. There is, however, a solution to this memory effect problem. You need to perform a “full recharge cycle”. To perform the full recharge cycle you let the device discharge completely before recharging it again. For example, recharge your cell phone only when it starts beeping. There are additional benefits of the Ni-Cd batteries. They can be used for as many as 500 full recharge cycles. Their charge is retained for a longer period of time when not in use. Since the battery is likely losing only 1% of charge per day it can take almost four months for the battery to become completely discharged. When purchasing a battery consumers are looking for a long lasting battery. For this reason, the Ni-Cd batteries continue to be in high demand. Even with a higher cost and a slightly lower voltage as well as the memory effect problem the Ni-Cd battery continues to retain its popularity because their total lifetime is significantly longer than some other less expensive batteries.